Product prices and availability are accurate as of 2019-04-18 17:37:51 EDT and are subject to change. Any price and availability information displayed on http://www.amazon.com/ at the time of purchase will apply to the purchase of this product. 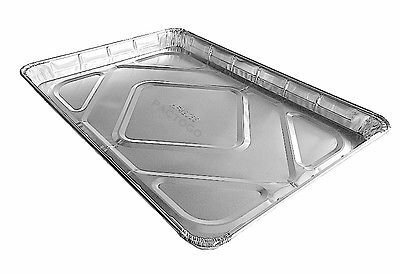 PREMIUM QUALITY HFA 1/2 SIZE SHEET CAKE DISPOSABLE FOIL PANS (pack of 50). PRODUCT FEATURES: Pan Dimensions: Top Out: 17-5/8" L x 12-13/16" W x 1-1/14" D. Capacity: 116.0 Fl. Oz. 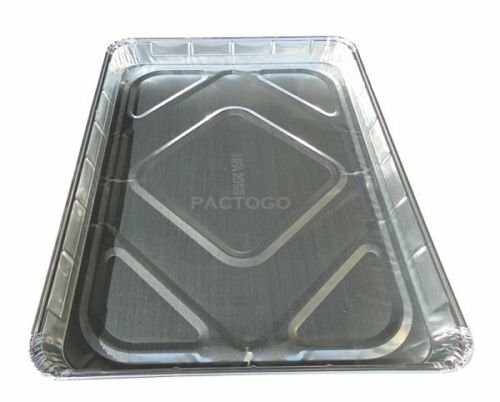 Premium Quality Pans Made with Heavy 55 Gauge Aluminum. Sturdy Pans. 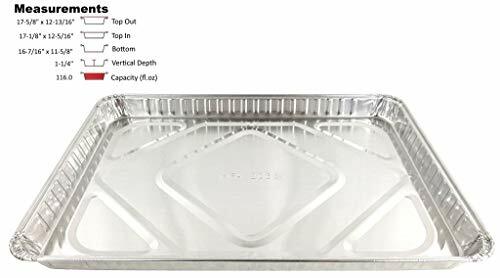 Ideal For Baking Cakes, Pastries, Cookies, Sweets, and More. 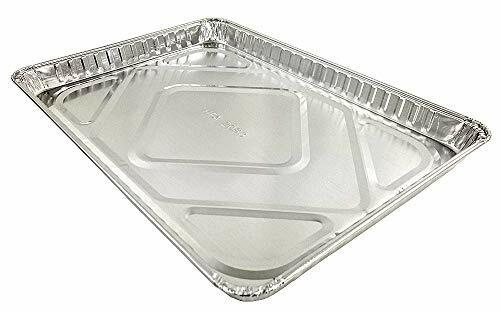 Widely Used by High-End Restaurants and Bakeries Across America. OU Kosher Certified, Made in Wheeling, IL USA by Handi-Foil of America. 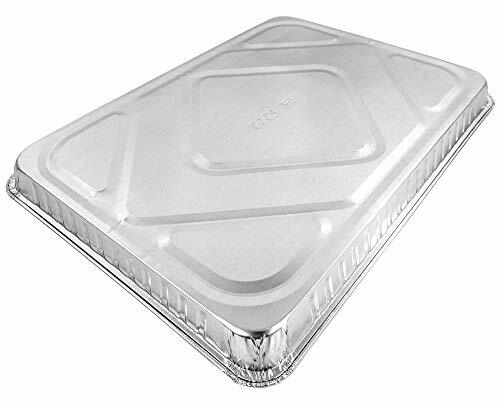 If Ordering 100 Pans, Pans Ship Double Boxed To Ensure Your Pans Arrive in Pristine Condition.